Bill Goldstein is an accomplished figure in the world of English and literature, giving him a credible voice to discuss topics related to the birth of Modernism. Earning his PhD in English from City University of New York Graduate Center in 2010, Goldstein is the recipient of writing fellowships at MacDowell, Yaddo, Ucross and elsewhere. When it comes to his professional career, Goldstein is the founding editor of the books site of The New York Times on the Web, reviews books and interviews authors for NBC's "Weekend Today in New York", and is the curator of the public programs at Roosevelt House, the public policy institute of New York's Hunter College. In addition, Goldstein has somehow found the time to publish a book, The World Broke in Two:Virginia Woolf, T. S. Eliot, D. H. Lawrence, E. M. Forster, and the Year That Changed Literature. This book tells the story of the intellectual and personal journeys of the renowned authors listed in the title at a pivotal time in the literary world. Alexandra Harris, an English academic and writer, earned her MA in modern European Art at the Courtauld Institute. Studying landscape watercolour in the 1930s for her dissertation, Harris explored the relationship between Romantic English art and Modernist fiction of Virginia Woolf. This study, after revision, turned into her first book, Romantic Moderns. Soon, Harris began her career as a lecturer at the University of Liverpool in 2007, and has most recently taken a Professorial Fellowship at the University of Birmingham in 2017. 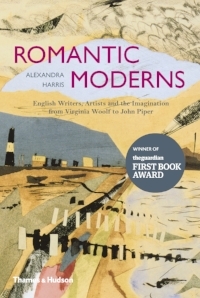 In addition, Harris has also written a short biography on Virginia Woolf. Both of these experts on Modernism, will share the stage as they examine and discuss the impact and aftermath of World War I on a range of British and US writers at C2C this year. It’s an event you won’t want to miss, so get your tickets now!